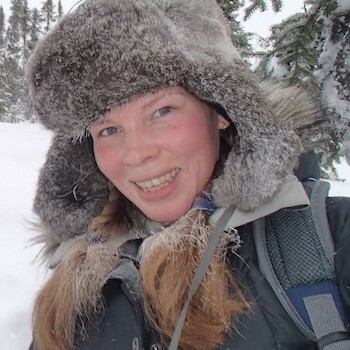 Working with GWF researchers, Ana Sniderhan‘s work focuses on ecosystem resilience in the NWT. Sniderhan completed her PhD at Wilfrid Laurier University, studying the growth dynamics of black spruce in northwestern boreal forests. Her research primarily used tree-ring records to determine how these iconic boreal trees have changed their growth patterns over recent history, but she also performed experiments with black spruce seedlings to help predict the resilience of the black spruce to a changing environment. As the Ecosystem Resilience Research Associate with the Northern Water Futures program, Ana will continue to work on questions concerning the broader plant community and changes the terrestrial environment is facing in the Northwest Territories.